With over 10 years' experience designing and building websites, we have developed a range of different websites for various sized businesses. Web Design - We can design a website and brand from the beginning. With the help of our designers we will talk through the needs and goals of your website and ensure the design fits your needs perfectly. Your unique website will be custom made for you from start to finish and will be 100% effective for its purpose. Web Development - We have built our own custom made Content Management System (CMS) system called 'Timberwolf’ in which to build our websites on. Timberwolf allows for responsive websites that can be easily updated by all users, enabling even the most technically challenged individuals to edit their site confidently. We also create websites on other platforms, depending on the need of the user/business. As well as Timberwolf, we can design and build websites on other platforms such as Wordpress and Squarespace, depending on the needs of the client. Website Redesign - We can also redesign your current website and build it on our Timberwolf CMS platform, or make any changes and updates on the current system your website is on. Search Engine Friendly - We build our websites so that they are search engine friendly. This means that they can be crawled easily by search engine bots, which allows for the information collected to be indexed on the search engines. We also offer a Search Engine Optimisation (SEO) service, for ongoing work. Responsive - They are built to work across all devices. With users now accessing websites across different devices and technology, it is crucial that they work optimally on every platform that they are accessed from. Content - We create outstanding, punchy content that will inspire your audience and motivate them to take action on your site. Whether you are looking for sign-ups, sales, enquiries or applications we can craft stunning copy to direct your users to taking action. Social Media Ready - Have links to all of your social media profiles, enabling your fans to quickly and easily see what you get up to on social media. We can also embed social media feeds on the website, so that live feeds from your Facebook, Instagram or Twitter profiles are displayed directly on your website. We also offer Social Media Services for ongoing work. Easy to update - We ensure that when the website is built, our clients are comfortable enough to make changes to the website on their own. This means that the backend of the website on the CMS is easy to navigate through and make any edits and changes to the content of their site. Communication - We talk to you about your company, your values, your ambitions and what you want your website to do. We strive to ensure that these conversations are clear, honest and leave no stone unturned in finding out what is important to your business. We know that this is a crucial step in understanding how your business works and what is required to provide you with the best possible web solution. Specification & Design - At the start of the process we agree how your site needs to work and how it should look to ensure that it appeals to your target audiences. All of the work we carry out is specified and designed based upon the budget you have assigned to building your website. Development - We will build your site, within the agreed timeframe and send you gentle reminders when we need input from you. If we have any questions or queries we will be in touch – and will provide you with a regular work in progress update. Our fully editable websites ensure you will have an up-to-date website for years to come. Final Checks - We build your site on our private hosting platform and at every stage you can view it, test it and be confident that the site is working the way you hoped. Launch - We will launch your site following final sign off. Some of our clients request a 'launch campaign' that we can plan and implement, others just want a quiet/soft launch. Going live is always exciting and a little nerve wracking but we can be your guide through the process and ensure that it is a smooth, stress-free experience. Bramble Hub website built on Squarespace. See how we built the website to the clients requirements: Bramble Hub - Project. Hartbeeps website built on Timberwolf CMS. A complex system which allows for almost 200 franchisees to log in and amend their pages: Hartbeeps - Project. 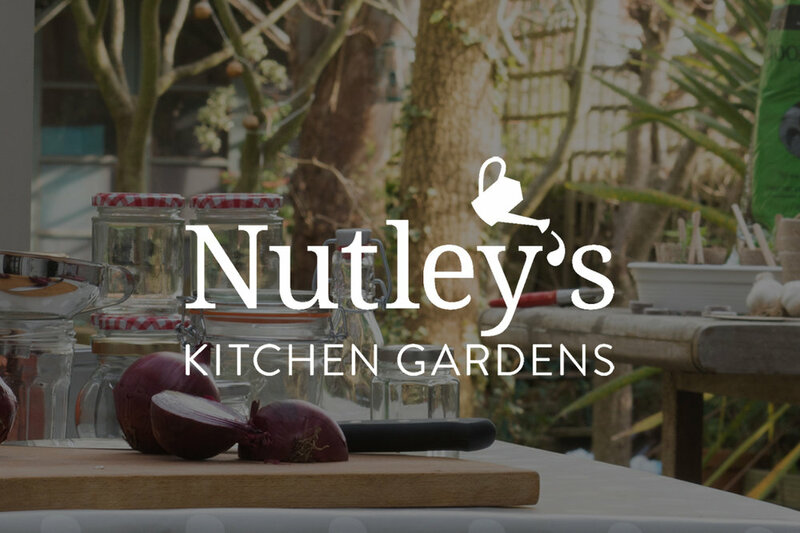 Nutley's Kitchen Gardens wensite built on Magento. This client required an e-commerce system capable of selling a lrage range of products. Nutley's Kitchen Gardens - Project. I have Aphasia and that can make communicating really hard. When I met the Build14me team they took the time to understand what we needed and how we could make the website as easy as possible for people with Aphasia to use. Even better, they made it so I can make changes to the site by using their really easy to follow instructions. Decide the best option for me!